The Norway-based International Sámi Film Institute, together with film-development institutes in Greenland and Nunavut, aim to establish a $26 million-fund to support indigenous filmmaking in the Arctic. Indigenous film institutes from the North are seeking to establish a fund they hope will allow them to counter depictions of the region portrayed in mainstream film, while at the same time developing an industry that will make it attractive for young people to remain in Arctic communities. 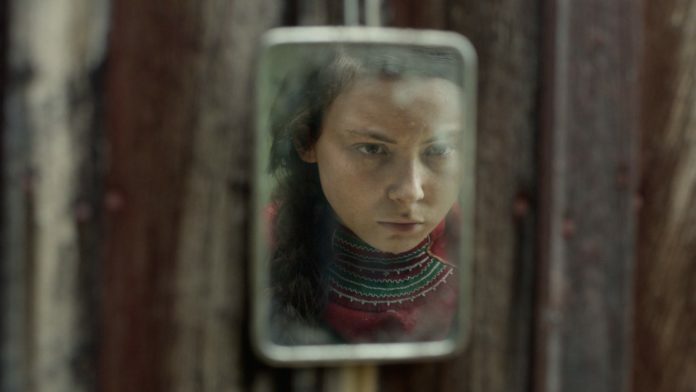 The fund is being organized by the International Sámi Film Institute, a Norway-based outfit, together with film-development institutes in Greenland and Nunavut. By 2021, they expect to have established a 200 million Norwegian kroner ($26 million) endowment that can be used to support things like production, talent-development and educational programs. Speaking during the Arctic Frontiers conference in Tromsø, Norway, on Wednesday, Utsi and others involved with establishing the fund argued that developing a creative industry like film would provide the region with a way to define itself, while at the same time generating income and employment. In addition to being a form of expression, film, Kullerud noted, is an industry, and the jobs associated with it can make or break a community. It would be unfair to say that the film industry is unaware of film produced by indigenous directors from the Arctic: a 2015 poll taken during the Toronto International Film Festival named the Inuit-produced “Atanarjuat: The Fast Runner” Canada’s best film of all time. Likewise, in 2017, Arctic indigenous film was included on a special program during the Berlin Film Festival, one of the industry’s most prestigious events. Most recently, “Same Blod (Sámi Blood),” a Swedish production, has been showered with accolades. The idea of indigenous people from the region making films that are casted, produced and funded locally is an idea that is only now starting to pick up steam, though. Atanarjuat, for example, was the first feature film ever to be written, directed and acted entirely in Inuktitut. It was released in 2001. “Nuummioq” is the first feature film ever produced entirely in Greenland. It was released in 2009. Emil Péronard, of the Greenlandic Film Association, reckons that even though the region has gained a reputation for making critically acclaimed films, it will still take time before it can turn back what he labels “the lies people have been telling” about the region in mainstream culture. For now, Péronard, whose organization is involved with setting up the fund, sees the emergence of Arctic cinema as a good way for groups who live there to begin telling their own stories to themselves and to each other. That doesn’t make the fund’s external element any less relevant. When it comes to profiling itself, the region is in a good position to export its stories to an entertainment industry that at times appears starved for content for a mushrooming variety of platforms. The reality of film, he explains, is that they take a lot of people to make. “That’s what makes them so costly, even if you are making low-budget films.” The fund’s main aim is to bring down some of the cost so more local films can reach a screen, but the training programs it will support hope to capitalize on the labor-intensive nature of film by making sure there are professionals available to outside producers looking to work in the region. Because so many people are involved, it isn’t unheard of for a fifth of a film’s budget to go towards on-location costs: things like local hires, catering, accountants, insurance companies. A hotel, Utsi says, can triple its annual profit if a film crew is in town to shoot for a few weeks. But how much a production winds up leaving behind, or whether it comes in the first place, she adds, depends on what’s available. Editor’s note: Some expenses associated with reporting this story, including travel to Tromsø, were paid for by the Norwegian Foreign Ministry.